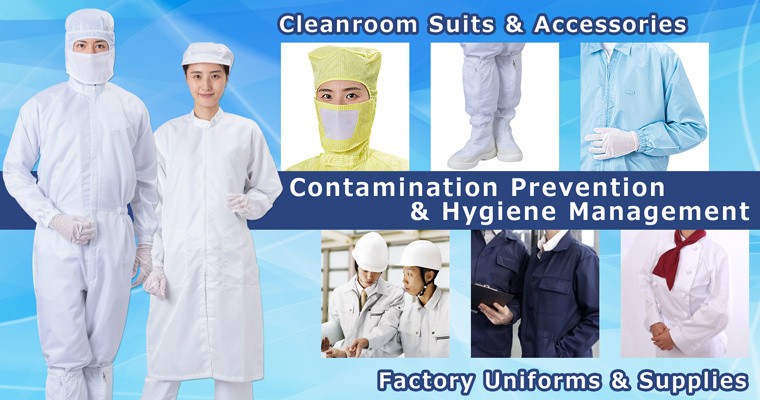 Home | Manufacturer and distributor of work uniforms, cleanroom suits and factory expendables in Thailand - Blaston (Thailand) Co., Ltd.
Back to Fact-Link's Top Page > Workwear, Safety Wear > Blaston (Thailand) Co., Ltd.
Cleanroom suits, work uniforms and factory expendables. Blaston (Thailand)Co.,Ltd. 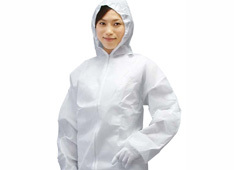 is a Thai subsidiary of Blaston Co., Ltd.(our headquarter in Japan) established in year 1923, a manufacturer and distributor of work uniforms, cleanroom suits and factory expendables. 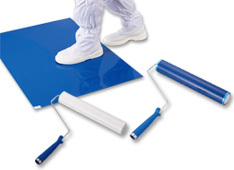 Starting cleanroom business in 1991, we now offer various cleanroom products based on the knowledge and experience gained and developed over the decades. 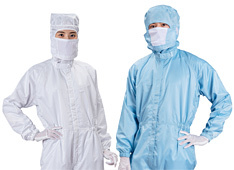 Our cleanroom products are used in various industries such as semiconductor, micro-motors, electronic circuit boards, precision equipment, HDD, liquid crystal, pharmaceutical, cosmetics and food industry. 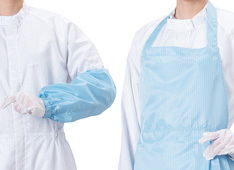 Since we began selling cleanroom uniforms in Asian countries including China, we have seen a number of nonconforming items; for example, cleanroom products sewn with short fiber yarn spun with the cut surface being exposed like normal clothing which generates air contamination, also conductive fabric with no conductive performance. 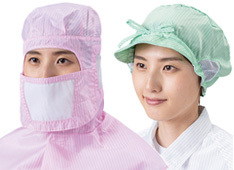 Assured that our products are produced in the same sewing method with long filament yarn, fabric and accessories as those sold in Japan applicable for high level cleanroom manufacturing. The minimum wage of Laos, where we have our production factory, is one third to one quarter of that of China. Also, since Laos is a member of ASEAN, we can receive import/export tax exemption based on the preferential rate. Therefore, we can produce at lower cost even with the same materials. With wholly owned factory (solely invested by Japan headquarter), it is possible for us to flexibly change the production line arrangement and delivery time priority, that are difficult to control at outsourcing factory (OEM factory). Also, since Laos is located in the center of Southeast Asia, the transportation schedule and time can be drastically reduced when doing business in Southeast Asia. Would you like to visualize pressure heat and ultraviolet light ? Blaston Thailand is an authorized Fujifilm distributor.